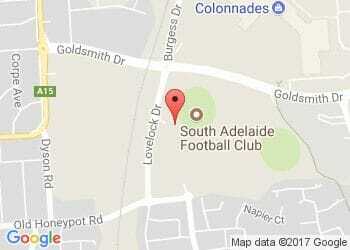 South Adelaide Reserves cruised to a 42-point win over Port Adelaide at Hickinbotham Oval on Sunday. A relatively close encounter through the first quarter, the Panthers blew the margin out as wide as 69 points in the third term before running out 17.17 (119) to 12.5 (77) victors. South set the win up thanks to a big second quarter, which saw the home side outscore the Magpies 8.3 to just a solitary behind. Following the game, Reserves Coach Michael Handby said he was pleased with the win, but still saw plenty of room for his side to improve as they faded slightly in the final frame. Pleasingly, several players continued to put their hands up for discussion around the League selection table. Kangaroo Island native Coby Helyar continued his strong run of form, gathering a team-high 23 possessions and booting three goals. Meanwhile, big American Alex Aurrichio is steadily developing his forward craft. Playing primarily forward against Port, Aurrichio clunked 11 marks and booted two goals from his 16 touches. Join us at our annual White Ribbon Lunch before we take on the Crows! Senior experienced pair Scott Taylor (18 touches and a rare goal) and Alex Moyle (20 disposals) also played a key role in the win. The coaches were also pleased with the performances of young ruckman Sam Gurney and key forward Nick Steele. Both have received their fair share of "tough love" as Handby put it post game, but performed admirably against the Magpies. Tasked with a greater role at the stoppages, Gurney played his best game for the season, taking several strong marks. Meanwhile, Steele has been working hard at local level and made the most of his senior recall, slotting a game-high five goals up forward. The Panthers will now look to rest up and reload before heading to Unley to take on Sturt on the Queen's Birthday.